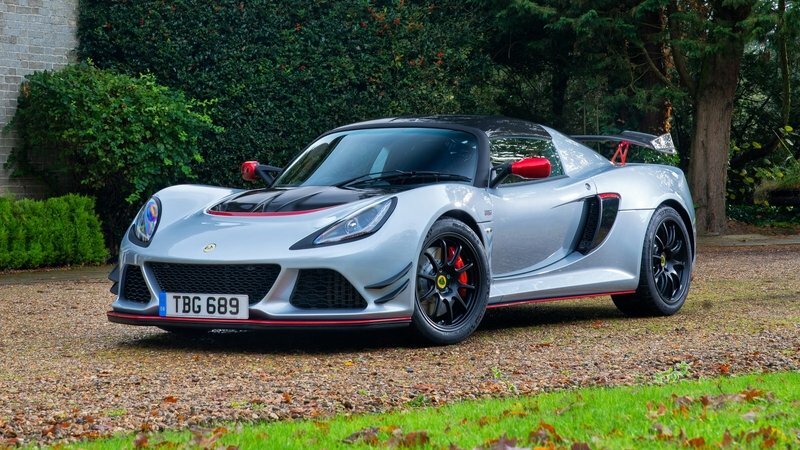 First, the important bit – the Lotus Exige Cup 380 weighs just 1,057 kg (2,330 pounds), which is 53 kg (117 pounds) less than the 1,110-kg (2,447-pound) Sport 380. Accomplishing the goal of added lightness is the traditional Lotus nitpicking. 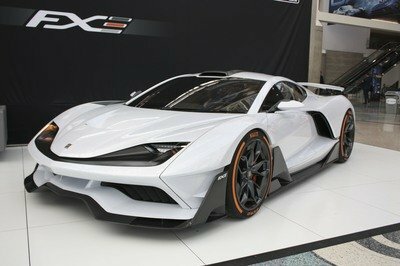 For example, a new one-piece carbon fiber rear tailgate cuts 6.5 kg (14.3 pounds), new carbon fiber side pods cut 0.5 kg (1.1 pounds), and exclusion of the gas struts save 1 kg (2.2). Do that kind of thing over and over again, and eventually you end up cutting over a hundred pounds, which is huge in a car weighing only a ton. Do that kind of thing over and over again, and eventually you end up cutting over a hundred pounds, which is huge in a car weighing only a ton. The tires are Michelin’s ever-appropriate Pilot Sport Cup 2 compound, with the rear rubber getting more width compared to the Sport 380 – up to 285/30R18 compared to the Sport’s 265/35R18’s. The engine and transmission package are the same as the Sport 380, with a supercharged 3.5-liter V-6 mounted behind the cabin to produce 375 horsepower at 6,700 rpm and 410 Nm (302 pound-feet) of torque at 5,000 rpm. 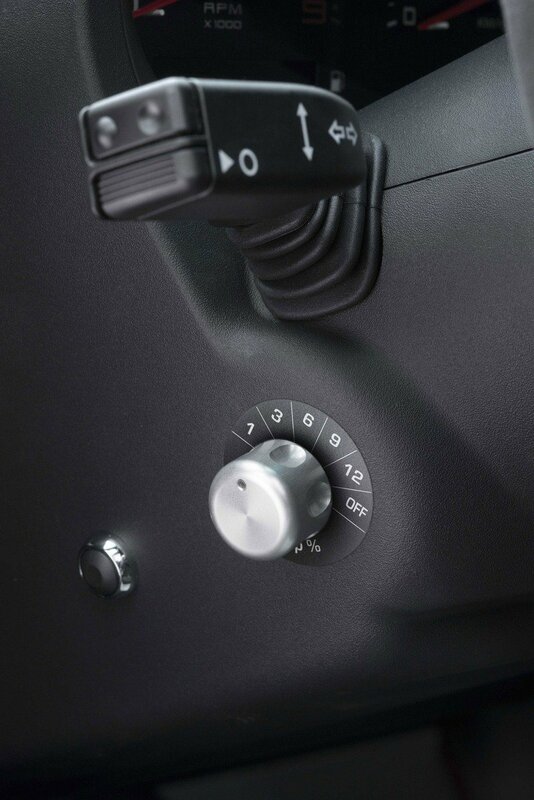 Routing the muscle rearwards is a six-speed manual transmission, complete with a handsome open gate shifter. Tunability can be had with four selections for the electronic driver’s aides, including “Drive,” “Sport,” “Race,” and “Off.” These affect the throttle response, the exhaust bypass valve, and tire slip thresholds. Further tweaks can be made via the Nitron two-way adjustable dampers and Eibach sway bars. Stops are provided by AP Racing with forged four-pot calipers and grooved two-piece rotors. You can also option in a titanium exhaust to save an extra 10 kg (22 pounds) if desired. 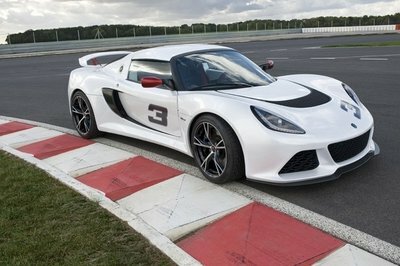 All said and done, the Cup 380 manages to lap Lotus’ Hethel test track in 1 minute 26 seconds, making it the fastest road-legal Exige ever made. Lotus Exige Sport 380 pictured on the left, Lotus Exige Cup 380 pictured on the right. We agree, and per Lotus’ tradition, the styling is all quite functional as well. Like its predecessor, Lotus tested the Cup 380 in the wind tunnel, honing the various bits and pieces to make 200 kg (441 pounds) of downforce compared to the bewinged Sport 380’s 140 kg (309 pounds). 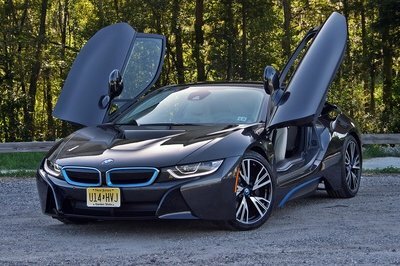 Meanwhile, top speed drops a little, down to 175 mph compared to the Sport 380’s 178 mph. Not that it really matters in a car like this. 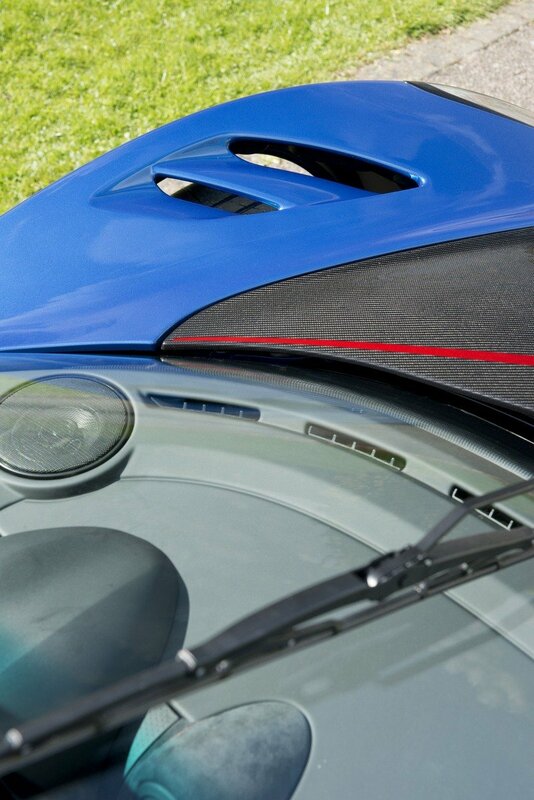 Typical Lotus – obsessing over the smallest of details. We love it. 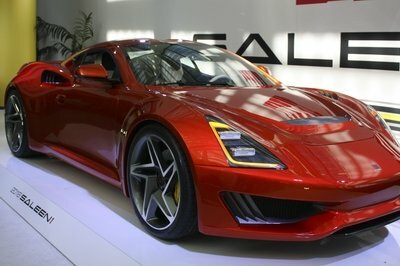 Further features include a selection of finishes for the forged alloy wheels, including red, black, and silver. The rest of the exterior is offered in either Essex Blue, Metallic White, Metallic Silver, Metallic Grey, or Metallic Black. Red highlights and bare carbon weave add flavor. Sounds Like It’s Quick. But You Mentioned Something About Driving It On The Street As Well? Sounds great, but of course, not all streetable racers are equal. 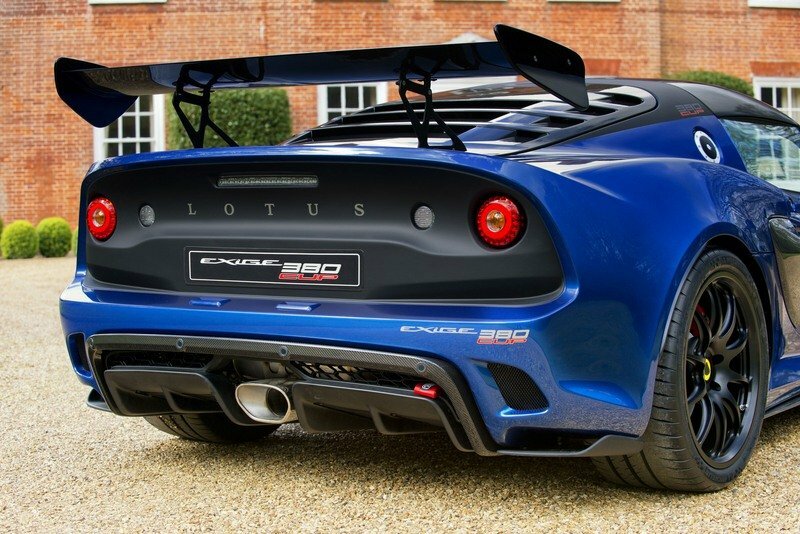 All things considered, the Lotus Cup 380 would be considered a bit spartan to most. By Lotus’ standards, there are numerous luxuries on hand, including a stereo, HVAC, and even carpeting in the footwells. 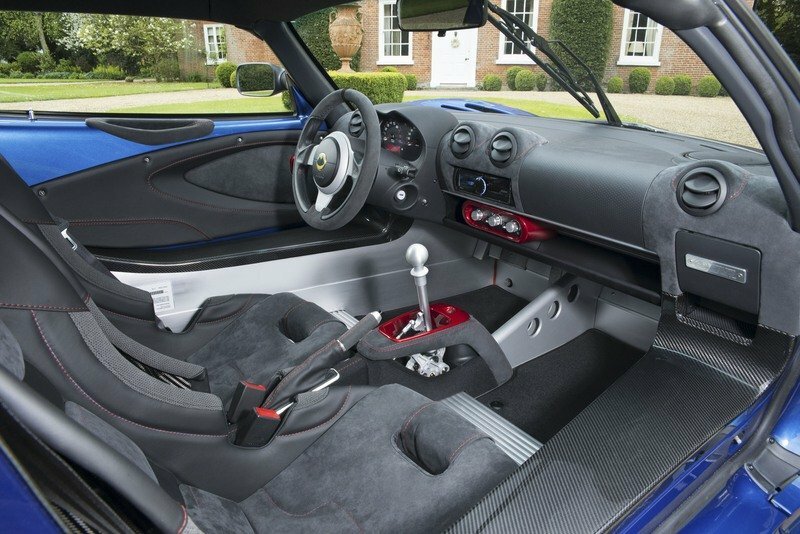 Sure, by Lotus’ standards, there are numerous luxuries on hand, including a stereo, HVAC, and even carpeting in the footwells. The carbon fiber race seats are also covered in Alcantara, with leather and tartan offered at no cost. But that’s about it when it comes to comfort. For example, the carpeting in the cargo cubby was torn out to reduce weight, while a standard T45 steel roll bar keeps it safe. 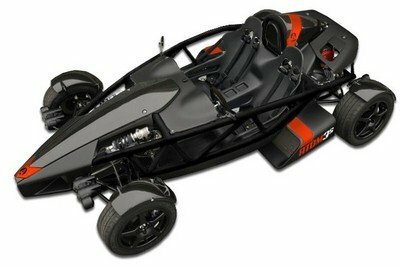 The options list includes stuff like a full FIA rollcage, race harnesses, an airbag delete, and similar track-rat features, leaving not much room for opulence. So Can I Buy One? Not if you live stateside. 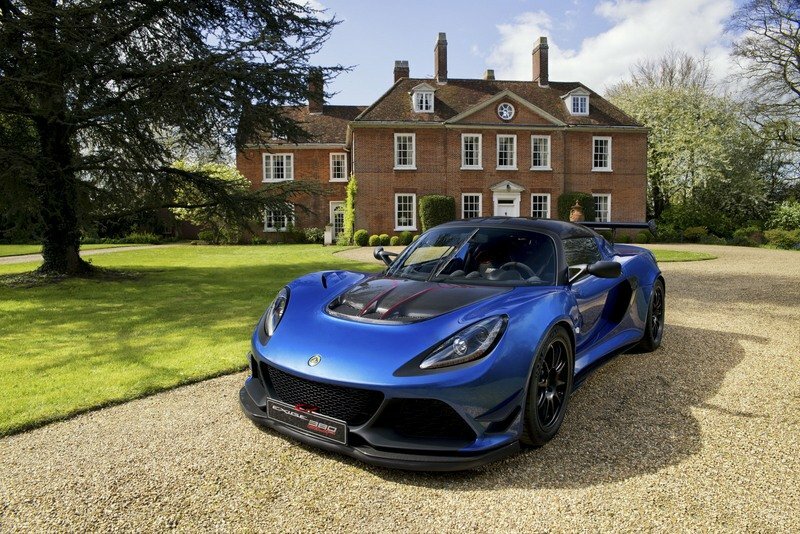 If you’re across the pond, then there’s a chance, but you’ll need to act quick, as Lotus is only building 60 units total. Pricing starts at 83,000 pounds in the U.K. and 109,900 euros in Germany, or roughly $110,000 at current exchange rates (04/20/2017).